We’d love to hear from you. Alumni & Friends who are willing to share updates with us can email us at alumniandfriends@dental.ufl.edu. Gregory Feldman, DMD Class of 2014, was recognized by Incisal Edge magazine as one of the top 40 clinicians under 40 in the U.S. in the publication’s eighth annual ’40 Under 40′ in September 2018. Feldman was the only Florida dentist recognized. He is a dentist with the Marion Dental Group and practices in Ocala and Lady Lake, in addition to serving many underserved patients in his area. Feldman is a huge Gator sports fan, and enjoys returning to Gainesville frequently for for Gator football and basketball games. Visit Dr. Feldman’s biography for more information on his many accomplishments! 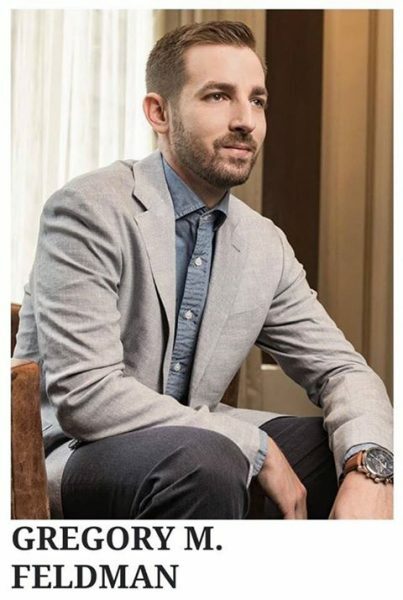 Why He Was Nominated: Dr. Feldman’s initial interest in what he calls the “blend of science and art” of dentistry began when his family dentist replaced his premolar—missing since birth—with an implant. Dr. Feldman would later serve as a summer assistant to that doctor, a first step down the path that led him to complete a Mastership in the Academy of General Dentistry—an honor held by only a small percentage of dentists. Something People Don’t Know: An Ultimate Frisbee player at the University of Florida, Dr. Feldman and his team won the sport’s national championship in 2010. They started dating in dental school two years ago, really getting to know each other during a long conversation in (where else?) the Sim Lab. 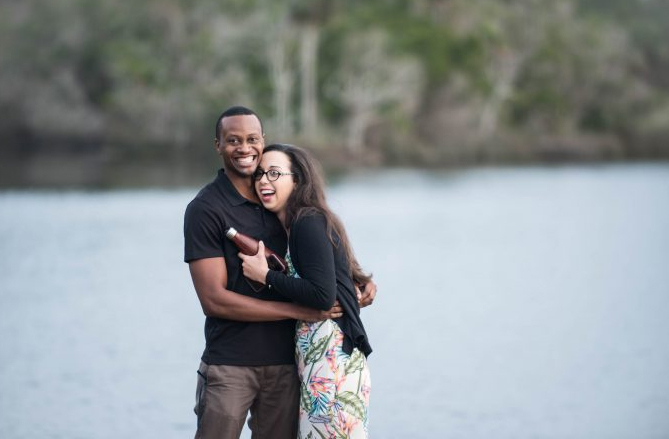 In January 2018, he surprised her by asking her to marry him at Tomoka State Park in Florida. Jenna graduates in May 2019 and Stephen is practicing in Ormond Beach at Cooper Dental Group. Both of them light up a room with their smiles and kindness, but on this very special day, their smiles were even more joyful than usual. We wish them the best and are quite happy that the college gets to play an important part in the history of their love and life together. Congratulations to Jenna and Stephen! 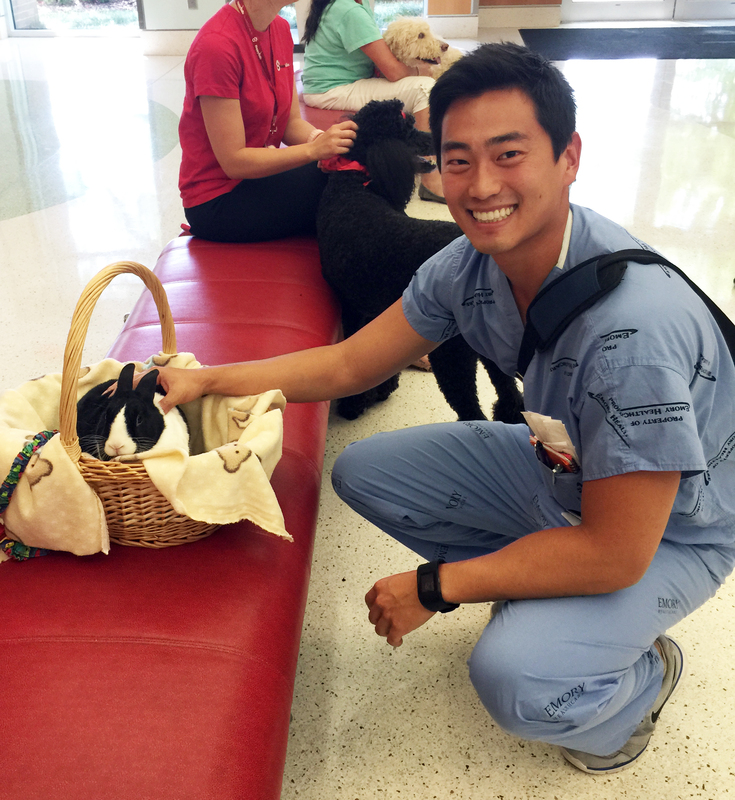 Mikey Yuan, DMD Class of 2015, is one of many new graduates who opt for immediate specialized training. Dr. Yuan is in his second year of a four-year Oral and Maxillofacial Surgery Residency Program at Emory University in Atlanta, Georgia. He just completed trauma surgery training and began a rotation in surgical ICU on March 1. “It’s been very rewardi ng and also very interesting coming to a program that has no dental school,” Yuan said. His residency program is part of the Department of General Surgery in the School of Medicine where he and his fellow OMFS residents are the only ones with previous extensive training on the oral cavity. He said that, because they are the only dental trained people in the system, they get called for a wide range of patient issues, from children losing their permanent teeth and need them splint backed together to infections to dentoalveolar pathology to maxillofacial trauma. “It’s been pretty busy covering five hospitals and six emergency rooms while on OMFS call but well worth it. The knowledge and hand skills developed at UFCD really helped put me in a good starting position for this residency,” he said. Despite enjoying his experience in Georgia there’s no chance that Dr. Yuan will be swayed from an all-out love for his Florida Gators. His favorite surgical cap is orange and blue with a UF logo, and he chomps at Bulldog fans whether or not there are other Gators around to back him up. 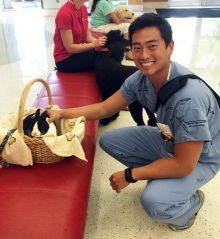 A true-blue Florida boy, when he completes his residency in June 2019, Dr. Yuan plans to return to Florida to practice and would love to serve as courtesy faculty in UFCD’s Student Oral Surgery Center with a long-term goal of eventually transitioning to serving on faculty to help educate future dentists. 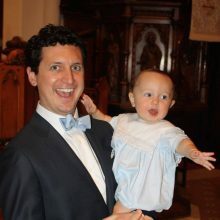 W. Adrian Lovell, III, left Gainesville after earning his DMD with the Class of 2010 and headed for a pediatric residency at the University of Alabama at Birmingham and Birmingham is where he stayed, opening a pediatric dentistry office in May 2015, Lovell Pediatric Dentistry. He also works at a clinic in an underserved area of the community and as an adjunct faculty member at UAB. Dr. Lovell is married to Lauren, who is from the Birmingham area, and together they are raising 1.5 children (their son, Adrian, and another child on the way!) and their dog, Gracie. Gracie’s father is a therapy dog who works with children on the Autism Spectrum Disorder and her mother is a cadaver dog who works with the State of Georgia. Gracie is a certified therapy dog who loves making friends of all ages and she goes with work with Dr. Lovell, helping patients feel comfortable while they’re at the dentist. Many of you may remember Adrian’s signature bow ties and will be happy to know that they’re still his signature! 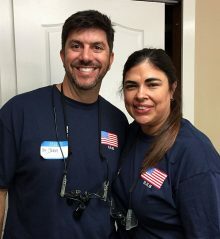 On November 11 2016, Veteran’s Day, Dr. John Gammichia, DMD Class of 1995, honored veterans in a truly special way by treating local veterans free of charge at his Apopka, Florida, dental center from 6:30 a.m. to 5 p.m. Dubbed “Operation Bright Smiles,” this true community event was supported by Dr. Gammichia’s staff as well as 11 other dentals, two oral surgeons and four hygienists as well as 15 additional volunteers. The laboratory that Dr. Gammichia works with donated some partials and dentures free of charge as well. A local men’s club provided free BBQ, stylists from a local hair salon cut hair for free and a DJ entertained the crowd waiting for services. It is a testament to the need in the community that a line began to form the morning of the event at 4 a.m. with people seeking care; the dental center had to stop taking names at 9:30 a.m. By the end of the day, volunteers had provided oral health care services to 103 veterans in need. Dr. Gammichia has practiced dentistry in Apopka with his father for over 16 years. He and his wife, Hilda, have four sons — Luke, Madison, Noah and David. He is active at his church Orangewood Presbyterian, where he has served as a deacon since 2005. He gave up playing basketball in 2007 after breaking his wrist, took up running and has since completed four marathons. He remains, however, a devoted basketball fan and is a Gator Men’s Basketball season ticket holder and enjoys watching all Gator sports. 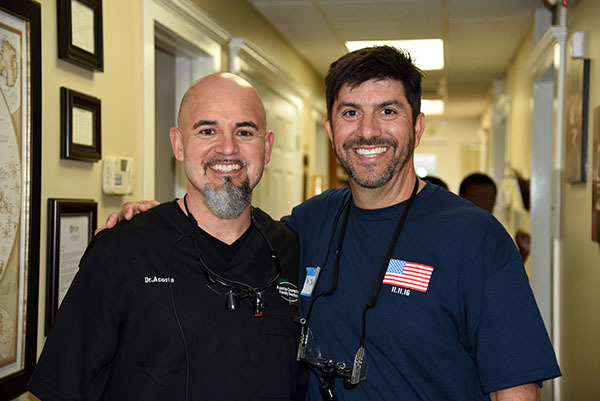 Top photo: Dr. Luis Acosta, DMD Class of 1998, left, was one of several Gator Dentists who volunteered in support of Operation Bright Smiles, organized by Dr. Gammichia, right. Bottom photo: Dr. Gammichia, right, with Dr. Judy Mejido, another wonderful Gator Dentist, who graduated in the DMD Class of 1993. Ashley Hoders has spent most of the years since graduating from dental school working on furthering her education. After she earned her dental degree, she completed advanced training in general dentistry at the Baltimore College of Dentistry in Maryland. 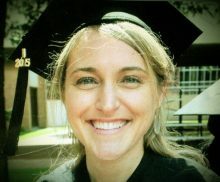 She practiced general dentistry for a couple of years in Maryland and then returned to school for post-graduate training at the University of Texas Health Science Center in San Antonio, where she became the sixth graduate and first woman to complete this dual specialty program, receiving certificates in Prosthodontics and Periodontology, as well as an MSD degree. She recently became a Diplomate of the American Board of Periodontology as well as a Diplomate of the American Board of Prosthodontics. She is currently a Fellow of the American College of Prosthodontics, American Academy of Periodontology, and the American Dental Association. She has published in the areas of dental implants, esthetic dentistry, and women’s health. 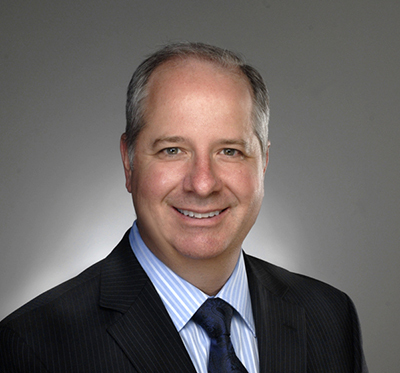 Dr. Hoders joined Dr. Jim Janakievski in private practice in Tacoma, Washington. From left, Monet Duckworth’s parents Melvin and Lureen Samuel; Dr. Monet Duckworth and her husband, Julius. It seems like the members of the DMD Class of 2011 just graduated but Monet Ducksworth is just one example that proves these “recent” grads are already out there, changing our world for the better. In June 2016, she received the Outstanding Community Health Center Dentist of the Year Award from the Mississippi Primary Health Care Association. 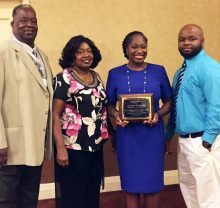 The award is in recognition of her work with the Southeast Mississippi Rural Health Initiative, Inc., at Hattiesburg Community Dental Center, where she’s worked since graduating from the UF College of Dentistry. She and her husband, Julius Ducksworth, are raising two sons, Donovan, 6, and Logan, 2. DMD Class of 1993 graduate James Wilson continued his dental education by following up with a fellowship in oral and maxillofacial surgery, an AEGD and a periodontics residency. Today he has a periodontology practice in Tampa where he and his wife, Casey, are raising their sons Palmer (8), Justice (11), Chancellor (12), and Nick (18). He recently completed his sixth year serving as a trustee for the American Academy of Periodontology and is president-elect of the Florida Academy of Dental Practice Administration.You can learn more about Dr. Wilson’s current practice on his website. For Diane Piper Hilton, D.M.D., “having it all” is a matter of balance and perspective. Piper Hilton manages to find a balance in her busy life which includes caring for her husband and two daughters, owning a dental practice, community involvement, supporting the UF College of Dentistry and cheering for Gator football. You might think she “has it all,” but Dr. Diane, as she’s known to her patients and colleagues, says she’s still getting there. Diane Piper-Hilton, D.M.D., was born and raised in St. Petersburg, Fla., and received her bachelor’s in microbiology and cell science and a minor in chemistry from the University of Florida. While working towards a master’s degree at the University of South Florida, she taught marine biology and leadership skills at Largo High School. In 2001, Piper-Hilton decided to return to UF for dental school, earning her doctor of dental medicine degree here in 2005. Piper-Hilton won many awards and honors as a dental student including the Student Leadership Award in 2005 and the Outstanding Young Alumnus Award in 2012. “My time at the UF College of Dentistry allows me to lead the life I have today. I could not be more thankful for the education, friendships, and personal growth that I experienced in my four years at the college. I support the UF College of Dentistry so that the future generations of Gator Dentists can have the same or an even better experience than I had in dental school,” she said. 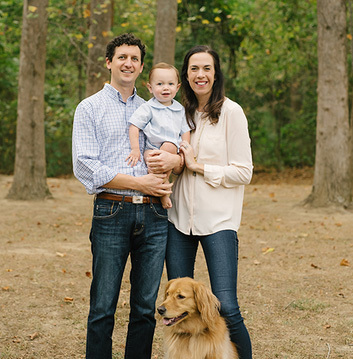 In 2013, Piper Hilton and her husband, Jeffrey, made a bequest gift to the college with the purpose of fulfilling D.M.D. student life needs. Bequest gifts amongst young alumni are uncommon, but not unheard of within the college. Piper Hilton says she knew that she and her husband wanted to do their part to support the college and the future of dentistry, but as a younger graduate, the means are not readily available. They chose a bequest knowing that their goal will be met later in life. “I believe that everyone can have a positive impact on the next generation of dental professionals by mentoring students and supporting education through annual fund gifts or planned giving. Also, being active in organized and community dentistry creates a stronger voice for issues that will impact the next generation. As a young alumnus, I am still establishing myself and I may not be able to make much of an impact as an individual. But if everyone is involved; we can maintain the standard of excellence within the college, the profession, and the level of care within the state. And we can eventually truly ‘have it all,’ ” she said.